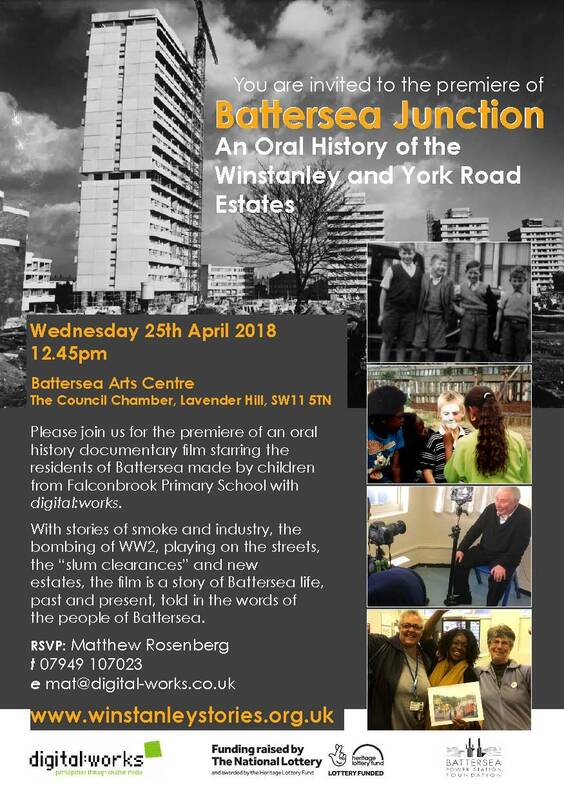 Wednesday 25th April sees the launch screening of Battersea Junction – Stories from Winstanley and York Road Estates made with Falconbrook Primary School. It’s at the lovely Battersea Arts Centre. There are a few places remaining, if you would like to come, please RSVP to the email address on the invite below.